Please go to your video card manufacturers website and install the most current drivers. This is especially important if you have recently updated to Windows 10. A full reinstall of the divers, even if they are current, is HIGHLY recommended. If you recently updated to version 1.86 and your save game no longer works you can use ConvertData_Rebellion.exe to fix your save game. 1. 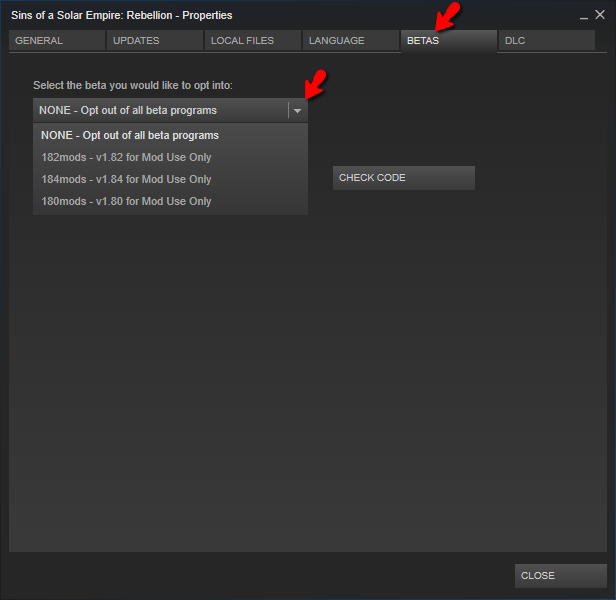 Copy your save game (likely located somewhere like C:\YourName\Documents\My Games\Ironclad Games\Sins of a Solar Empire Rebellion\Save-SinglePlayer) to your Sins Rebellion install (likely c:\Steam\steamapps\common\Sins of a Solar Empire Rebellion). 2. Open the command window here. 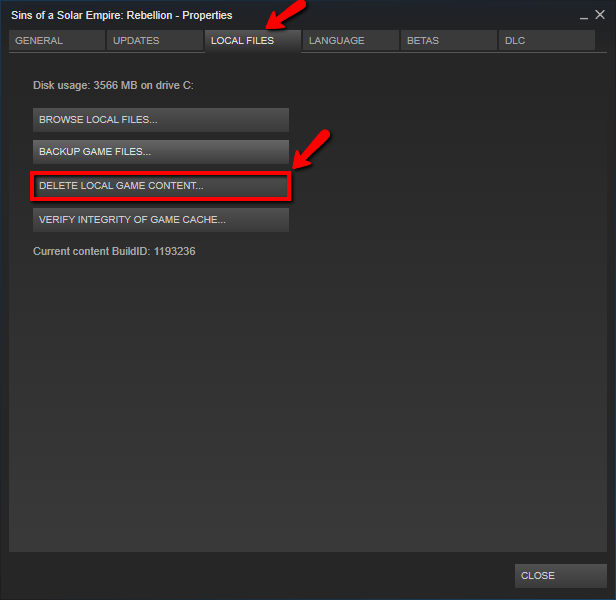 (start->cmd, cd\steam\steamapps\common\sins of a solar empire rebellion). 3. Type "ConvertData_Rebellion saveGame yourSaveGame yourNewSaveGame" in the command window. 4. Copy the new save game back to the location from which your save game originally was found. 5. Restart Sins and load the newly fixed save game. After, please reboot and try to run the game again. Once saved, double click it to run it and then press the appropriate key for the game you are having the issue with. T key for Trinity, R for Rebellion or B for both. Once that has been done, run the game again and activate when prompted. Does the game start normally now? If there are no settings files, sometimes the game may be unable create them. C:\Users\USERNAME\Documents\My Games\Ironclad Games\Sins of a Solar Empire Rebellion (the settings folder is included in the zip). Please disable any addons or mods you may have installed, as these can occasionally cause some erratic behavior. After you've disabled/uninstalled the mods, please restart Sins: Rebellion to see if your issue persists. With this menu, try selecting a previous patch to continue playing before the game updated. 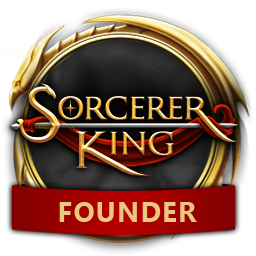 Run the game as administrator by right clicking on the game like so. This is located in the game install folder (typically C:\Program Files (x86)\Steam\steamapps\common\Sins of a Solar Empire Rebellion). 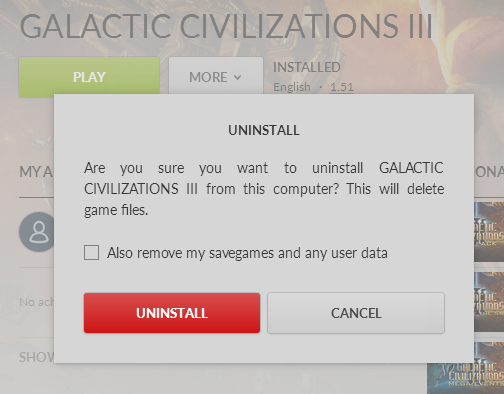 After doing this, then try running the game via the normal game .exe file (Sins of a Solar Empire Rebellion.exe) direct from the same folder where the game is installed. 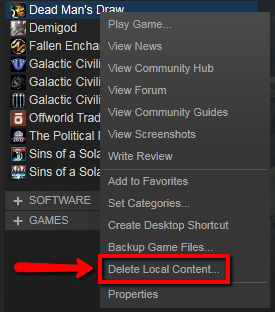 Next, try launching the game again via the Play button from the Steam library page. Before downloading the game, please disable your McAfee anti-virus. After the game has finished installing and you've activated the game, you may turn your McAfee anti-virus back on. If you receive the error that you are missing the executable, then your anti-virus has quarantined the games .exe file. You'll want to make sure your anti-virus is allowing the .exe file and marking it as safe. Disable \ unload AMD's Gaming Evolved application and try to run the game again. If you have your system or video card overclocked, you may want to try running at the stock clocks and then try the game again. If you have XFire or VirtuMVP installed, please disable them before playing Rebellion. Click the link below to run through how to start Windows in a clean boot state. Then try running the game. Exit and reboot. Then try booting normally and see if the game starts. 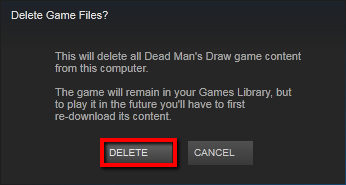 Please uninstall Sins from Steam by following the instructions below. In the "My Games" folder, if there is still a folder remaining called "Ironclad Games" please rename it so a new one will be generated. You should see a folder named "License", please rename this as well. Note: The path above assumes you've installed Sins to the default Steam directory. You may need to adjust the path accordingly if it is installed to a non-standard location. Restart your computer and reinstall Sins using Steam. After it has completed the installation, please create a new save and let us know if you experience any further issues.